We have analyzers to detect very slight amount of element in order to clear the severe standard of the visitor, microscopes and surface roughness meter to confirm of polished surface condition. 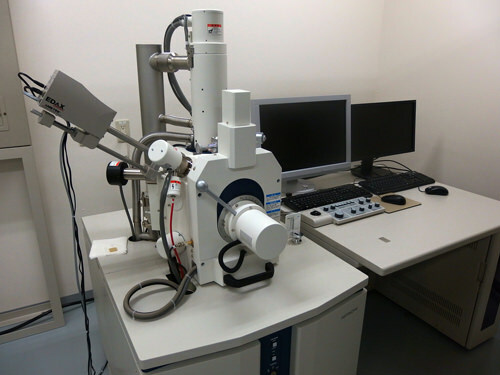 This is a machine to analyze inorganic elements in solution. Detection limit is very low, and the analysis of the “ppt” level is possible. 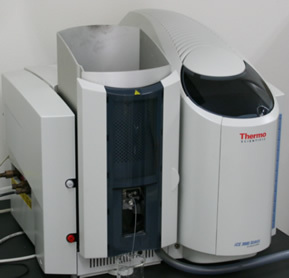 ThermoFisher SCIENTIFIC iCE 3300 This is a machine to analyze inorganic elements in solution. Detection limit is very low, and the analysis of the “ppb” level is possible. 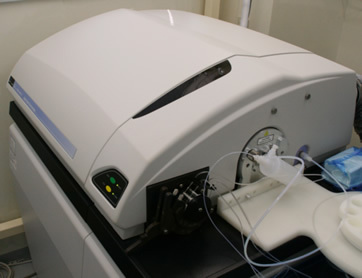 We use this machine for quality control of process solution. This method is a very powerful tool to detect a slight amount of anions, alkali metals, alkali earth metals and ammonium ions in solution. The detection limit is “ppb” level.